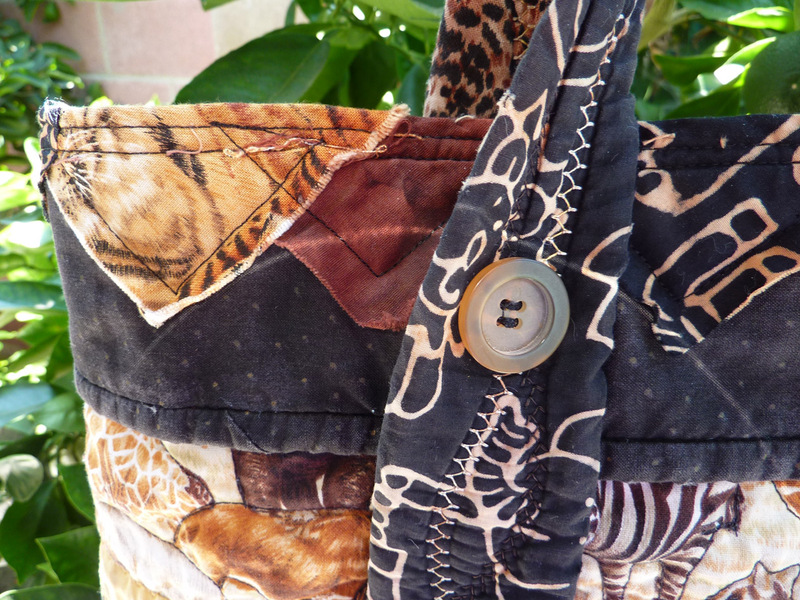 Whether you call it your “Goin Quiltin” bag, your beach bag, your diaper bag or your all purpose “shlep” bag – this tote will hold whatever you like, whenever you like; sturdy, roomy and with pockets galore inside and out. And we’re having a class on how to make it at Baron’s Sewing Center this Fall. Tuesday October 22 6 PM to 9 PM Part 2 6 hours total. 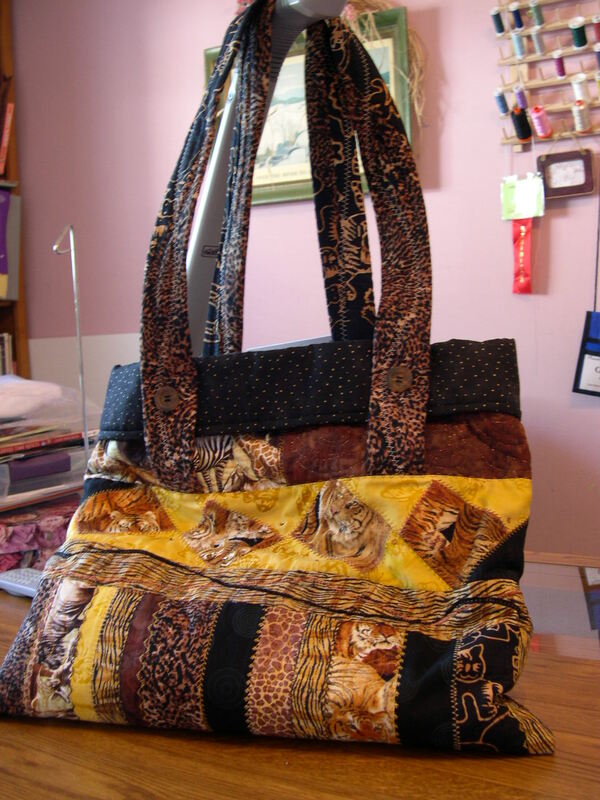 Several years ago I sewed a tote bag that quickly became my favorite. I enjoyed it so much that I actually started wearing it out! Tossing it aside was not an option. Too much work went into making it and besides I really liked it. 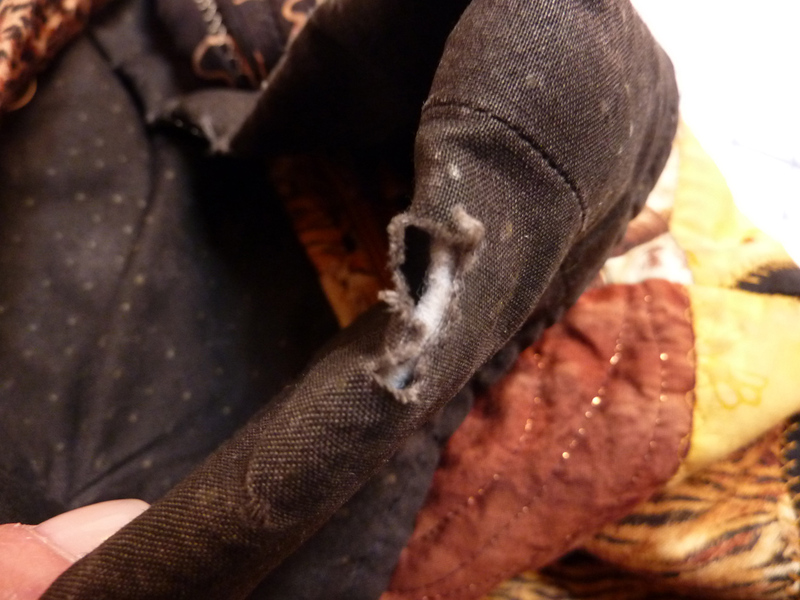 So, I investigated ways to ‘fix’ it that would not be too difficult and would not look like an emergency patching job. I decided to use fake prairie points with a ragged edge. 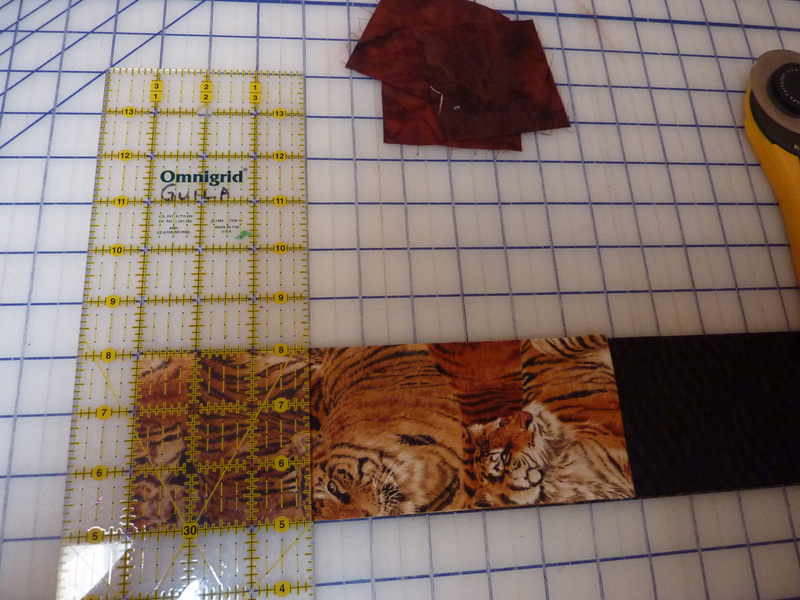 Luckily I had enough fabric left over from the bag in my scrap stash.So I cut out about 20 3 in. by 3 in. 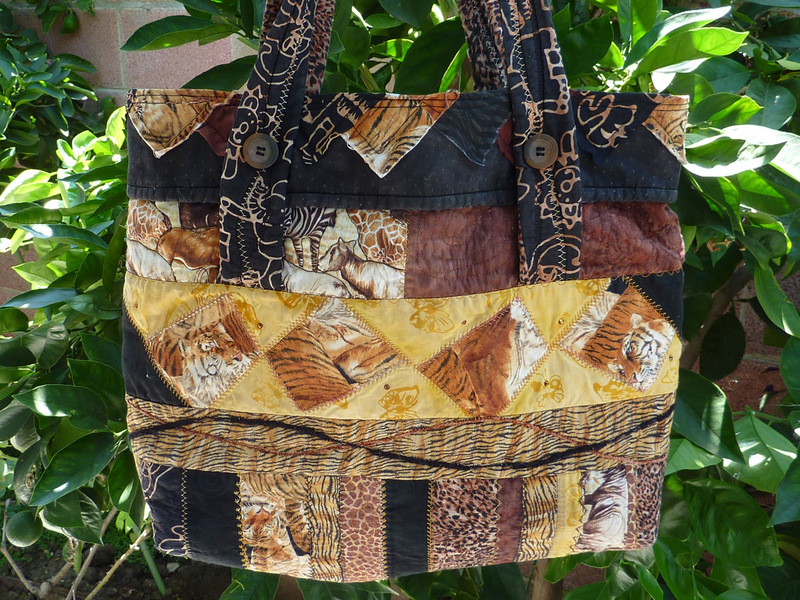 squares, folded them in half corner to corner, then arranged them in overlapping fashion around the top edge of the tote. 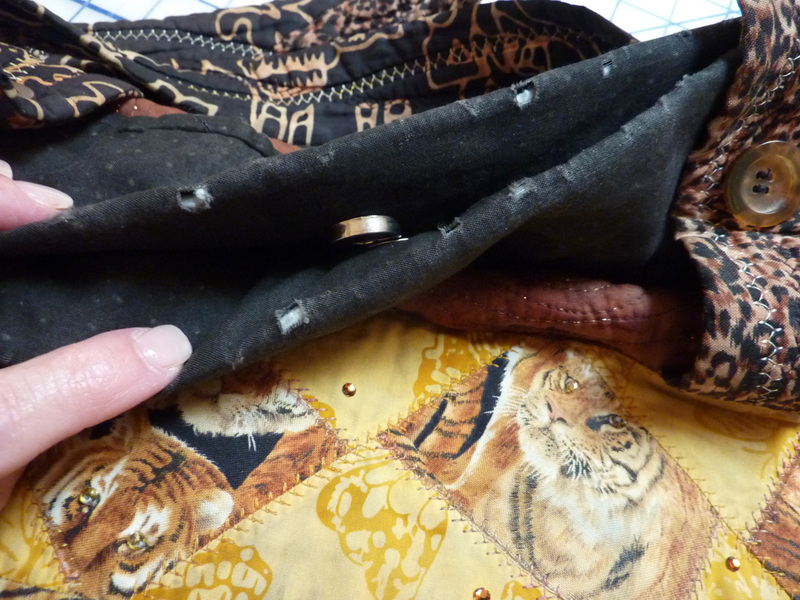 I stitched around the top to hold them in place then stitched them more securely about 1/2 inch in from the edges to leave them “raw-edged.” Finally I washed and dried the tote bag to allow the new embellishments to fray a little. Because the fabric had been previously washed it did not do much fraying but I’m sure that in time they’ll take on that look. 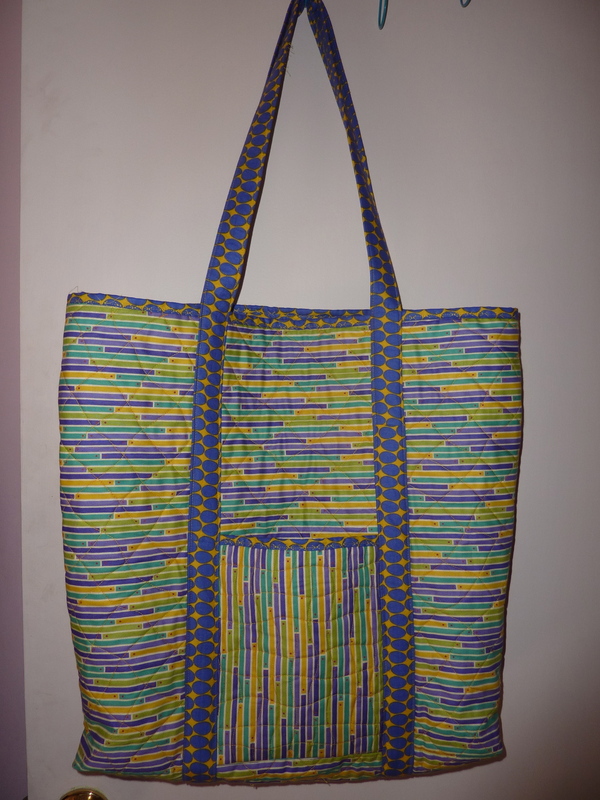 And here is my “new” old tote bag ready to go !